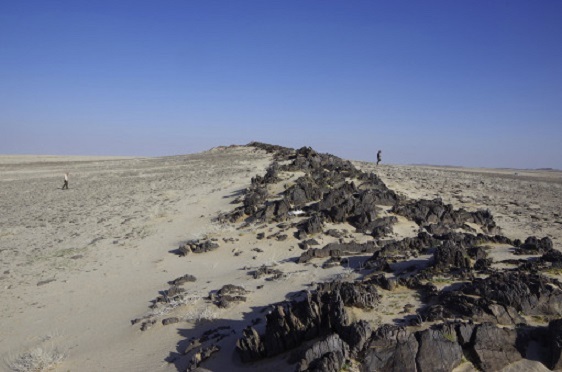 Our systematic survey of Acheulean occupation evidence at Dawadmi, in the heart of the Arabian Peninsula, has led to the discovery of 14 new Acheulean sites at Saffaqah, and a further 22 sites in the Dawadmi area. Our survey revealed a strong correlation between Acheulean sites and fine-grained andesite dykes, a major source of raw material for stone tools; no Acheulean sites in the study area were found away from dykes or their adjacent landscape units. 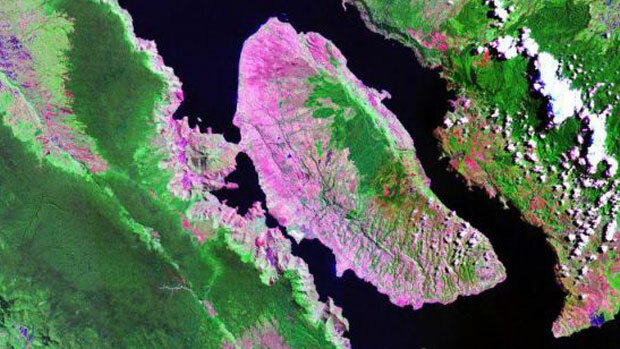 Based on dyke distributions, the geographic range of Acheulean activity is estimated to be 100km × 55km, making Dawadmi one of the largest Acheulean landscapes in the world. Read more in Multi-scale Acheulean landscape survey in the Arabian Desert in Quaternary International. A visit was made to the American Museum of Natural History (NYC) in order to extract DNA samples from the mammal collections. Among the animals sampled were cheetah, leopard, hyaena and genet. Samples were obtained from many regions of Africa and Eurasia. Our ultimate goal is to understand the timing of animal movements out of Africa. Our team was composed of archaeologists from Oxford and students from Jeremy Searle’s genetics lab at Cornell. Photo shows genetic sampling in process. Nicole Boivin (right) is pictured here with doctoral student Frida Johannesdottir (background) and undergraduate students, Camille Mangiaratti (middle) and Cassandra Ramirez (foreground). 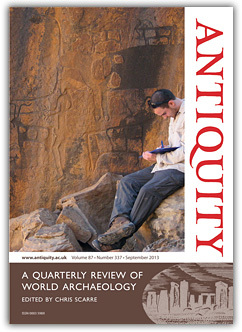 An article written by Richard Jennings on the rock art landscapes beside the Jubbah palaeolake in Saudi Arabia features on the front cover of the September issue of Antiquity. Richard’s co-authors on the paper were Ceri Shipton, Abdulaziz Al-Omari, Abdullah M. Alsharekh, Rémy Crassard, Huw Groucutt and Michael D. Petraglia. Click here to read the article. 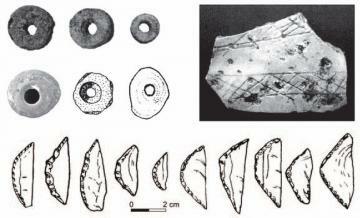 The authors have undertaken a systematic survey of rock art and interpreted the results using GIS. They conclude that the overwhelming majority of prehistoric rock art sites overlook contemporary early Holocene palaeolakes, and that the distribution of later Thamudic rock art offers insights into human mobility patterns at Jubbah in the first millennium BC. 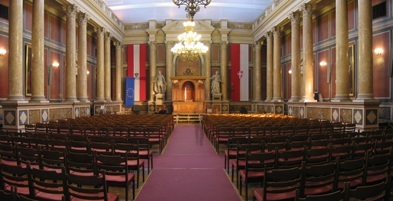 In Vienna in September 2013 Huw Groucutt delivered a podium presentation at the European Society for the study of Human Evolution entitled “Advances in the study of the Middle Palaeolithic of Arabia”. The presentation looks at the importance of the Arabian Peninsula in our understanding of Middle and Upper Pleistocene hominin evolution, demography and dispersal. Click here to read the abstract. Other contributors to the presentation were Michael Petraglia, Rémy Crassard, Richard Jennings and Eleanor Scerri. 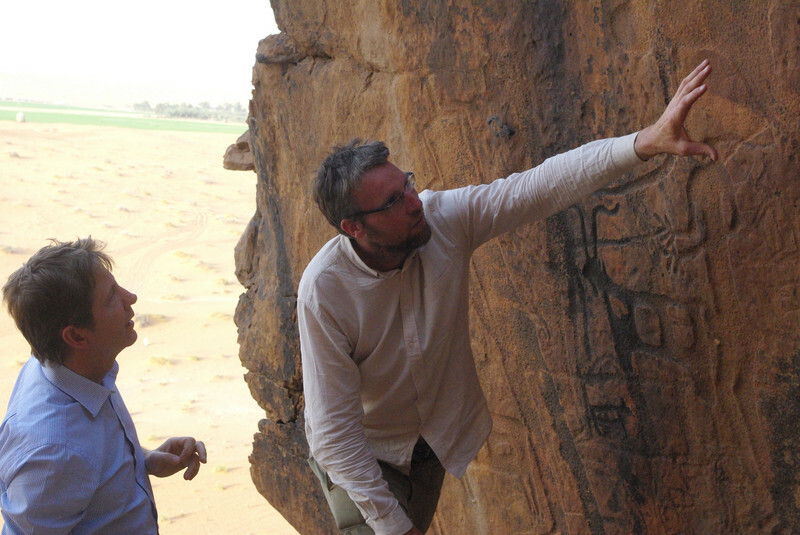 Human Prehistory at the Cross-roads of Continents, 2 – 4 April 2014, University of Oxford. 2013 Boivin, N., Fuller, D.Q., Dennell, R., Allaby, R., Petraglia, M.D., Human dispersal across diverse environments of Asia during the Upper Pleistocene. Quaternary International, in press. Anatomically modern humans arrived in Asia within the last 70,000 years. Richard Jennings will give a presentation on modelling hominin life zones across Eurasia at the Research Laboratory for Archaeology and the History of Art at the University of Oxford on 5 June 2013.